Blyth is a playfully designed object that can be used as a coffee table or end table. Its removable top is reversible for varying effects: it is made of bamboo on one side and is painted white on the other. 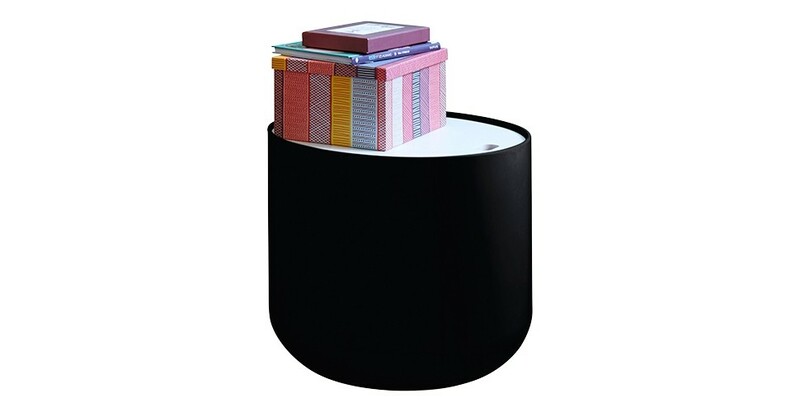 Lift off the top to find an ideal storage area for magazines, blankets or other items. 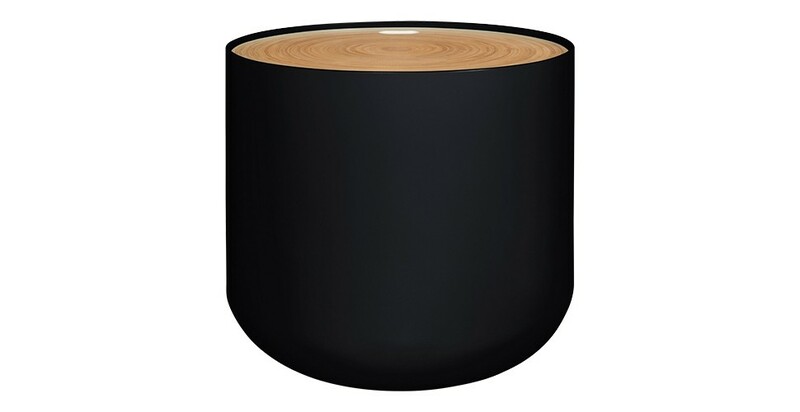 A round coffee table whose shape is suitable for small living spaces.